Using one of the most respected ice machines on the market, it’s imperative to use one of the most respected appliance repair Los Angeles company near you. 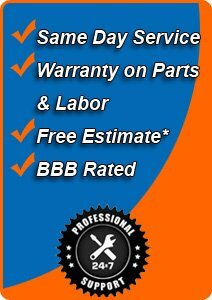 We have over 2 decades of appliance repair industry experience. By trusting in experience and hiring a company that’s passionate about repairing commercial ice machines. A commercial ice machine is not an easy fix and requires a lot more than a routine maintenance (however, routine services do help maintain the longevity of your appliance). We know exactly what you’re going through. Time is one of the most valuable things we all have and we can’t afford to waste time on things that are not important to us. One of the greatest features for any business to have all the essential commercial appliances working in unison including an commercial ice machine. At LA Fix It Appliance Repair, we specialize on all major ice machines including Hoshizaki Ice Machine systems. Being family owned and operated, this allows us the flexibility to maintain our operating costs and keep our ice machine repair and service as low as possible. Having a limited supply of ice and ice cubes can really set your operations back a day or two. To prevent productivity and maintain your management production as efficient as possible, call LA Fix It today. We have a live representative that’s ready to answer all your ice machine repair questions. Let our dedicated staff of experts get to work for you and improve your ice machine today. Clients have said that their ice machine repair works as good as new. We hear that a lot. In fact, on occasion, we would receive a friendly phone call or an email stating how grateful they are for an amazing job. We are proud to serve the Los Angeles market and be your go-to appliance repair service company for both the residential and commercial side.